Can I turn off notifications for a single app? Yes! Just click on the bell icon in the subdock. 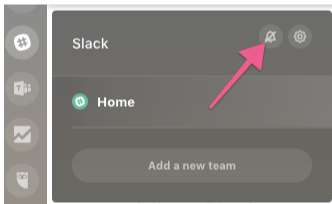 To mute the notifications (both sounds & popup) of an app, just hover over the app's icon and click on the bell in the subdock's top right corner. This works with all of Station's app.